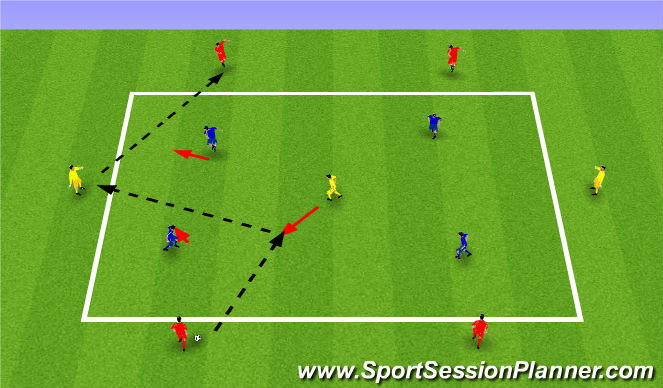 10x20 area, 4v4+3, transition-possesion game. 4 reds and 3 yellows maintain possesion and try to complet 7 passes. 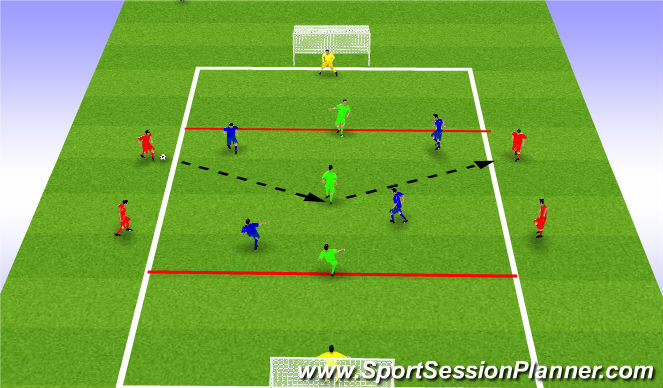 If/when blues win the ball, they aim to make a quick pass with a neutral and go outside the area, quick switch roles with the reds who just lost the ball. High tempo warm up game. Quality passes, good movement and quick transitions. red team keeps possesion with 3 green neutrals, try to complete 8 passes for a point. When blues win the ball, they try to attack and score on either goal in under 8 seconds. Only 2 greens and 2 reds can defend.